Welcome to the website for Mantsbrite, distributors of a wide range of marine electronic and navigation equipment and systems for commercial and leisure use. With over 50 years experience in serving the marine industry Mantsbrite has built an enviable reputation for the quality of the products and service we deliver. On this website you can see details of the marine products we supply and the dealers from where they can be obtained. We also provide a turnkey system design, specification, installation and support service. Contact us for a competitive quotation. New Koden KAT-330 Class A Automatic Identification System (AIS) transceiver features a water and weather proof 5" colour HD display with full electronic chart operation when using a C-Map Max chart via the SD card slot. The colour HD screen displays charting with AIS Target Overlay, Simple AIS Radar Display, Mulitple AIS Filters, Alarm Management and MOB Tracking to name just a few. The new KGC-300 consists of a colour 4.3" display unit where heading, position, speed and course data can be shown in large easily legible characters, an external antenna with 15 metre cable and a processor unit. The KGC-300 features a 16 channel parallel GPS engine providing heading accuracy to 1° with a heading resolution of 0.1° An important feature is the KGC-300's internal electronic compass and rate sensors which seamlessly act as a backup heading output should GPS reception be interrupted, for example when sailing under a bridge. The KMD-550 NMEA distribution box features an isolated 24 volt DC power supply, 12 x RS422 outputs, 3 x RS232 outputs & 1 x speed closure signal. All input &output channels are isolated. 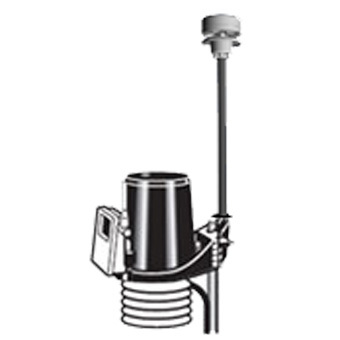 The new LCJ Capteurs solar powered SONIC-ANEMO-DZP is a robust ultrasonic upgrade for the Davis Vantage Pro II and replaces the anenometer models 7911, 7913, 7914 & 6410 for easy and reliable maintenance free wind data logging. NEW LCJ Capteurs BaroPlug - Pressure with no hassle ! 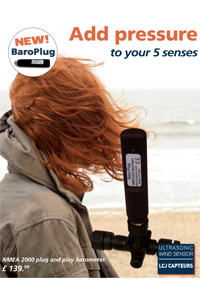 The new LCJ BaroPlug is a plug and play barometer for NMEA2000 instrument systems. Simply plug it into the NMEA backbone, and read immediately the atmospheric pressure on any compatible display. We can supply & install a range of marine & land-based mobile satellite systems to suit the needs of your vessel or mobile home. 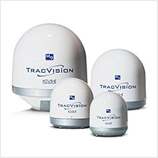 Once installed you never have to align your dish again as the system will constantly track your chosen satellites. Contact us directly for further information on the various systems available. To return an item to us please complete and enclose a Service Returns Form when sending your equipment to us to ensure that we have all the necessary details. 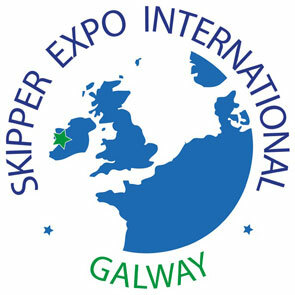 The 15th anniversary of Ireland's flagship commercial fisheries show will be staged on 8th and 9th March 2019 at the Galway Bay Hotel. The expo will showcase the latest fishing equipment and support services available to the fishing industry. Despite 'The Beast from the East' affecting the travel plans of exhibitors and visitors this year, it is hoped the 2019 event will be incident free. The show organiser Sharon Boyle says: "The 2019 show promises to be busier than ever and it will be an event that represents a significant milestone in the show's development"
Come and say hello to us on Stand 01 where you can have a chat and a coffee. 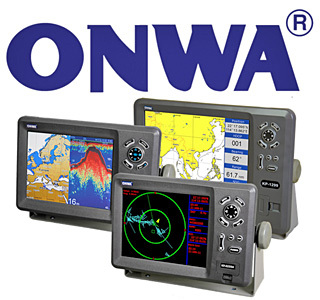 You can also view our latest range of commercial marine electronics and speak to our staff for any information or advice you may need on both new or older style equipment. At the most recent Expo, there were over 80 exhibitors, so come along to see for yourself the vast range of products and services available to the fishing industry. And before the dawn of a new Expo peeks over the September horizon, we would like to look back at the Expo in Aberdeen for being a very successful exhibition. Come and see us on stand PB37 where you can view our latest range of navigational electronics and speak to our staff for any advice and information on new or old equipment you have. Now in its 21st year Seawork is the largest European commercial marine exhibition that attracts over 7,600 visitors, and hosts over 610 exhibitors from over 70 countries showcasing 10,000 products and services.